Every home needs fresh air to come into the building from outside for you to breathe, and for the safe operation of combustion appliances. It’s also vital that stale and damp air and pollutants are removed – both for your health, and the integrity of the building. Opening windows and doors – so-called purge ventilation – teamed with extractor fans in kitchens and bathrooms will do the job, but of course causes heat loss. To ensure that you are saving energy but also creating a healthy home, it’s vital to consider how the house is ventilated. 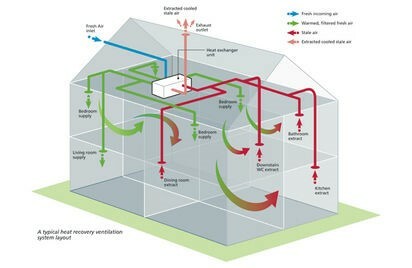 Heat Recovery and ventilation (HRV) systems are a solution. They exchange stale air for fresh air, and recover heat in the process. A Heat Recovery system will extract the warm, moist air from rooms such as kitchens and bathrooms. This is done through a concealed duct system. The air is passed through a heat exchanger then ducted outside. Fresh air from outside is drawn in and passed through the heat exchanger, which warms it, and it’s then ducted to the living rooms and bedrooms. Some systems have a feature so that when it’s warm outside, the air can bypass the heat exchanger to help keep the house cool. 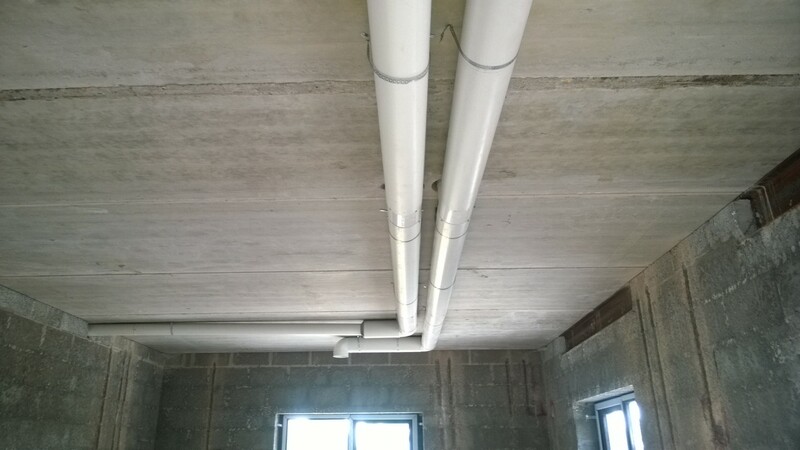 The system’s heat exchanger is generally fitted in the loft, although it could also be installed in a void in the eaves or ceiling, or a cupboard in the kitchen or utility room, or even in the garage. 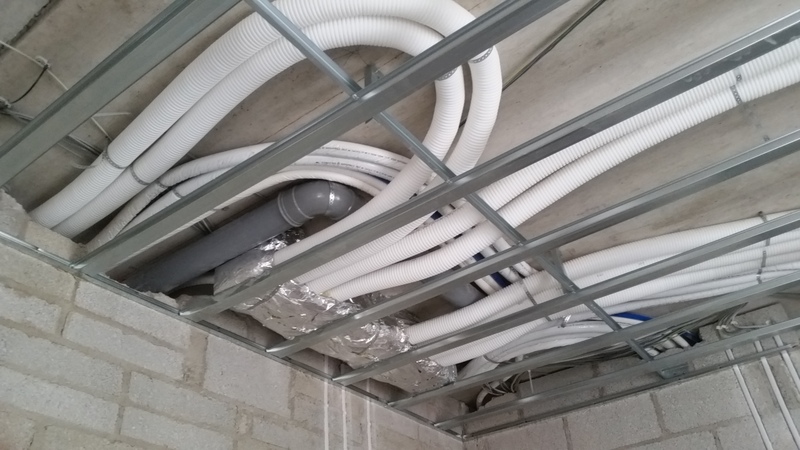 Consideration will need to be given to the positioning of the concealed ducting at planning stage. 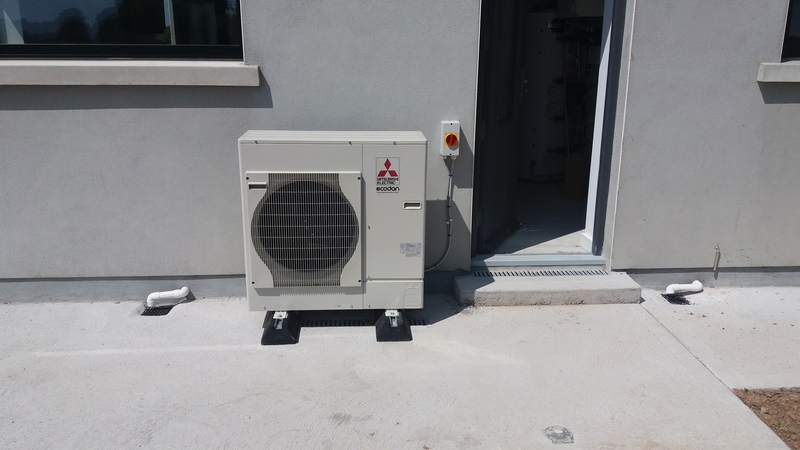 We will design the system to provide the optimum air changes while achieving the highest possible system efficiencies with the least running costs. A heat recovery system can be retrofitted, however we would recommend an airtightness test is performed first to determine if your house is suitable for this type of ventilation. Consideration should also be given to solid fuel stoves and fireplaces which require designed ventilation sources.